Boise Multifamily housing at the Tipping Point? I have attached two articles related to multifamily housing. The first article is from the Idaho Business Review. That article confirms that the current demand to rent is high, but will the demand meet the supply? I tend to agree that we are at least a year from knowing. The second article, "Tipping Point: Are apartments racing toward a peak or will the boom continue?" is from CCIM that addresses the concern on the national level. Within the article, they provide some great data and charts. One chart shows actual cap rates as well very low projected cap rates for 2016-2018. 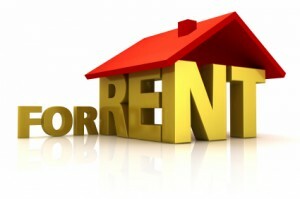 Bottom line, I advise my clients to evaluate projects based on a conservative rents and vacancy. I don't recommend buying based on "pie-in-the sky" numbers. I suspect at some point, we will see a correction in rents when our record low vacancies start to climb. I just don't know when. Because of the length of time during the planning and construction, I do believe builders will continue to push through the tipping point. The data that I analyze on a monthly and quarterly basis should help identify any changing data trends. Meanwhile, the data continues to show strong rents and low vacancy.